All readings and consultations are with Steven Shroyer. Please plan on approximately 1½ to 2 hours for your reading. Astrological readings are either by phone or in person. How Well do You Know Your Deepest SELF? Consultations and Astrological Readings with me are unique and quite special. Special attention is focused on seeing the real YOU. This is the part of you that is happy, full of purpose, and living a life of meaning and significance. Life is never static, but a dynamic flow of YOU becoming more than you are today. An Astrological Reading will reveal in clear terms where you are in this flow of life, so that your perspective may shift to a deeper understanding of WHY things are, and HOW to make life adjustments to feel joy and alignment with your deeper SELF. This is a relatively new concept in Self Care. We all are learning how to live more centered in our Higher Self and less in the ego. Investing in your Higher Self means living with a greater sense of purpose and a deeper sense of joy and significance. It means having an increased capacity for intuition and learning how to better use your natural psychic gifts and abilities in new and expanded ways. The Higher Self has a special relationship to Spirit. Investing in your Higher Self is an investment in your relationship with Spirit. To this end, I personally promise that each reading will have life changing and transformational qualities for you. Each Astrological Reading requires 4-6 hours of my personal life force. Preparation time is thorough. Much of my preparation time is spent accessing astrological realms that I first contacted at age 12, during my near-death experience and the resulting 7 days of coma that followed. 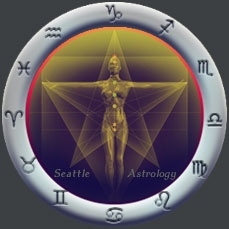 As a result of my experiences, I am an intuitive, and an Esoteric Astrologer. $250 Basic Natal Chart Readings: The Natal Reading covers your life path and life purpose (Dharma), and intuitive and psychic gifts. We focus on current life circumstances, how you got where you are, and how to proceed as you move forward in your life. Time is also spent on important life issues indicated in your initial intake questionnaire. $250 Solar Return Readings: This reading is perfect for setting your intentions for the coming year and understanding what you can expect between now and your next birthday. Solar Return Charts are set for your birthday and are focused on the natural transformation process from birthday to birthday. This reading offers practical ideas for dealing with the coming yearly transitions you will likely face. Your Solar Return incorporates your Natal Chart as a basis for this type of reading, but does not have the depth of a Basic Natal Reading. $395 Relationship Readings: These are extraordinary readings and are quite special. This type of reading involves the Natal Chart of both individuals in relationship, and a third Composite Chart (Relationship Chart) that indicates the best possible ways two people can work together. We look at practical ways both people can work through their karmic issues as a team. This reading also indicates relationship strengths and weaknesses, and how to best integrate them for a combined life path and purpose. $295 Business and Personal Contract Readings: Are you signing a new contract? Starting a new business or beginning a new business phase? Are you moving to a new location or into a new home? These are all perfect opportunities for this type of astrological reading. In the world of business, the larger questions are: "What are my opportunities and what is the best way to leverage these opportunities? How do these opportunities fit into my overall life path and what is the tangible outcome I can expect?" $150 Follow-up Readings and Progressions: If you have already had an astrological reading then I've already completed a portion of my work and you qualify for a discounted Follow-Up Reading. These readings provide additional information and in-depth insights that were not covered during your last consultation. The importance of understanding your astrological progressions. Progressions are a spiritual window to the Higher Self and indicate exactly what spiritual issues or transformational processes you are currently working with. I only work with an individual's Progressed Chart after a Basic Natal Chart Reading, because a basic understanding of your life work and life path is necessary to understand the context of the spiritual aspects of your Progressed Chart. If you are interested in working at a deeper level with your Higher Self, then a Progressed Chart Reading is very special and enlightening. Payment: Cash or Check is preferred. Payment plans are available on request. You may also make an online payment through Google Checkout below. Please schedule your appointment before making a payment through Google Checkout.